Additional security packages for the Mac were not popular, as in the past, they put too heavy a load on the system. The current test with 10 leading security packages for MacOS Sierra proves that many packages now go easy on resources, yet still provide excellent protection. Most products tested deliver good results; 4 packages even provide 100% detection. Some Mac users indicated after hit by malware, that they never would have expected an attack. After all, you always read that the security on a Mac is so tight, nothing can happen. Unfortunately, that is not true, otherwise threats such as KeRanger or Patcher, which are both forms of ransomware, would not gain notoriety. Flashback also struck some time ago and infected hundreds of thousands of Macs. If a malware threat even has a valid Apple certificate – as has already happened – then the internal Mac security package is no longer of any help. Most security packages require only a few percentage points above additional system resources, despite high security. In the test, the security package detected the malware threats at 100% and put hardly any load on the test Mac. The application is recommended in the test thanks to error-free detection and the hardly-measurable system load in the test. 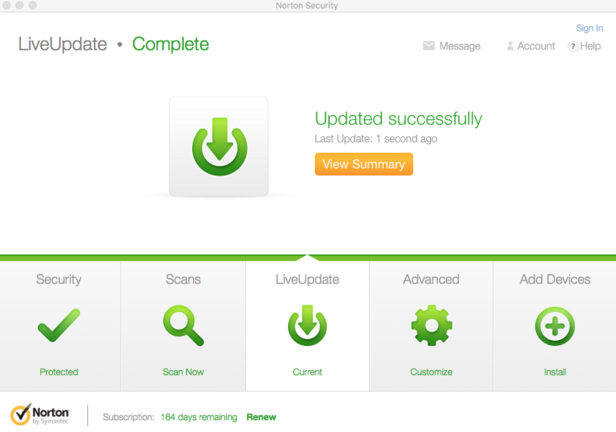 The solution provided strong malware threat protection in the test and went easy on system resources. All the packages were installed as additional protection for MacOS Sierra. None of the security packages switched off the internal protection functions of MacOS Sierra. 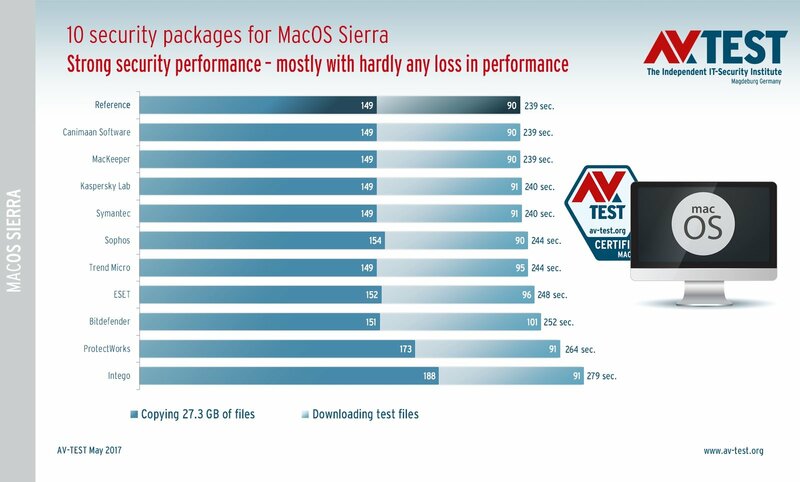 Six months ago, AV-TEST already tested a dozen security packages for the Mac. In that line-up were also some of the products currently being tested. The protection benchmark was to recognize and fend off 184 strictly Mac malware threats. In this test, a total of four products detected all the threats 100 percent. These frontrunners come from Bitdefender, Intego, Kaspersky Lab and Symantec. They are followed by Trend Micro, Canimaan Software, ESET and Sophos with 99.5 to 98.4 percent. ProtectWorks then came in with a detection rate of 94.5 percent. All these products receive a "certified" rating from the lab. Only the MacKeeper package detected a mere 85.9 percent of the tested malware and therefore receives no certificate. 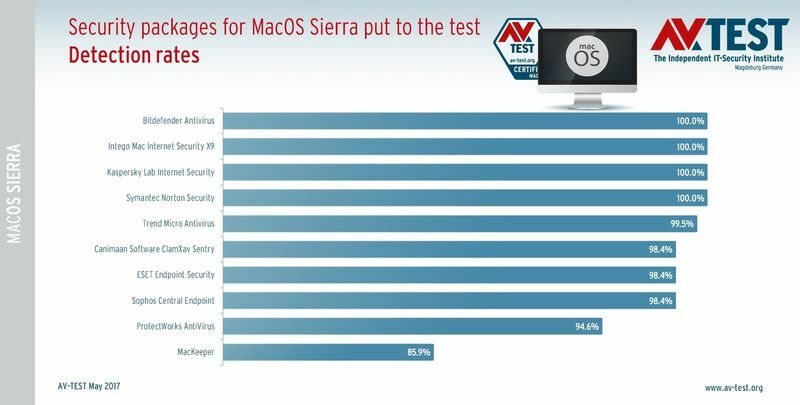 In a non-rated additional test, it was examined whether the Mac protection packages also detect Windows threats. While they cannot cause any damage to a Mac, in heterogeneous networks a dormant threat can access a Windows PC by this pathway. Bitdefender, ESET, Kaspersky Lab, Sophos and Trend Micro each detected more than 99 percent of the more than 5,300 test malware threats. It is interesting to note that Mac users have often bemoaned the system load of security packages. The lab is able to give an all-clear sign for most packages. In the test, it was measured on a reference system how long it took to copy 27.3 GB of various data and how long it took to perform various downloads. The reference values were 149 seconds for copying and 90 seconds for downloads – thus, a total of 239 seconds. In the test, each security software was then installed on the reference machine and the tests with the copying and the downloads were repeated. The times clocked for these operations are excellent. The packages from Canimaan Software, MacKeeper, Kaspersky Lab and Symantec are equivalent, or almost equivalent, to the reference time. The times of the packages from Sophos and Trend Micro are merely five seconds longer, i.e. an additional system load of just over 2%. ESET and Bitdefender require somewhat more time: 9 and 13 seconds respectively, which corresponds to just under 4 and 5.5% additional system load. These benchmarks are not really a problem for many users. ProtectWorks and Intego our somewhat more conspicuous. Here, the measured additional system load is between 10 and 16% higher than on the reference system. In the last test section evaluated, the packages were evaluated for quality of friend-foe detection. For this purpose, all the security products were required to detect hundreds of perfectly clean programs and also monitor many installations of normal applications. Perfect: none of the products triggered a false positive in the test. As an additional test, the lab examined the behavior of the security software towards so-called potentially unwanted applications – or PUAs, in short. These programs do not cause any damage, but they are generally very annoying, and they are a nuisance to users. The testers actually also consider this to be damaging behavior. The manufacturers, however, take a different view. To them, annoying software does not create any damage and is therefore not a malware threat. The lab unleashed 195 annoying PUAs on the Macs. Most packages even sort these programs out. Bitdefender, ESET, Intego and Symantec have a 99% rate. 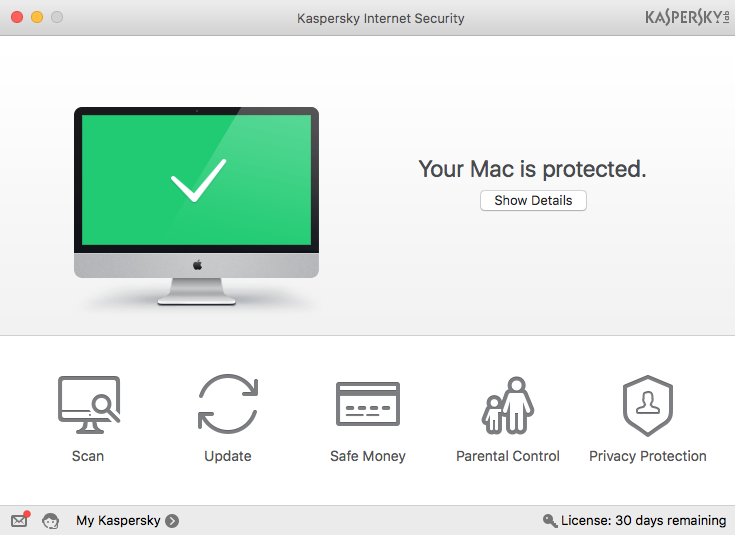 Those seeking additional protection for their MacOS Sierra and, in doing so, do not want any additional system load, will find the best options in Kaspersky Lab and Symantec. Both offer 100% detection with a hardly measurable additional system load. The packages from Bitdefender and Intego also detect all malware threats at 100 percent. But while Bitdefender causes an additional system load of just over 5%, for Intego it already exceeds 16%. 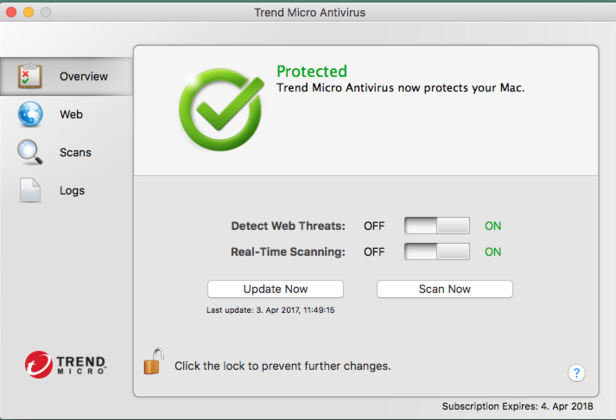 With 99.5 percent, Trend Micro also provides excellent detection of malware threats and is also well recommended with only five seconds of additional system load, i.e. something more than 2%.